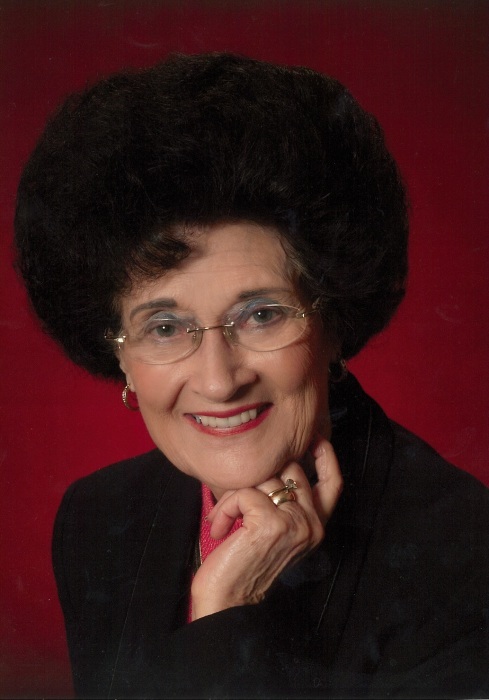 Jean Evans of Morgantown, Kentucky passed away Saturday March 23, 2019 at the Greenwood Nursing & Rehab Center in Bowling Green, Kentucky. Jean was born April 9, 1928 in Butler County, Kentucky to the late Willie T. and Audie Bell Coker Russ and was the wife of the late Jesse J. Evans. She was a member of Morgantown First Baptist Church, a retired 3rd grade teacher at 5th District Elementary School, she also taught in many of the county schools early in her career, member of the retired Teachers Association and Modern Woodmen camp secretary. Other than her parents and husband she is preceded in death by one brother Hansel Russ. Jean Evans is survived by one son Tim Evans and wife Cathy of Lexington, KY; one grandson Kyle Evans of Lexington, KY; two sister in laws Virginia Russ of Xenia, OH and Bonnie Underwood of Shepherdsville, KY and several nieces and nephews. Funeral services will be held at the Jones Funeral Chapel Thursday March 28, 2019 at 1:00pm with Bro. Greg Wallace and Bro. Tim Burden officiating. Burial will be in the Bethel Cemetery. Visitation will be held on Wednesday March 27, 2019 from 3:30pm - 8:00pm and Thursday 8:00am until funeral time at 1:00pm at the Jones Funeral Chapel. Please share any photos, memories, condolences or light a candle in memory of Jean at www.jonesfuneralchapel.com. Memorial contributions may be made to the Bethel Cemetery Fund c/o Carlon Pendley 159 Sugar Grove Rd Morgantown, Kentucky 42261.